Steel is the most widely used construction material in the world today. Its strength-to-weight ratio, toughness, flexibility, pliability, eco-friendliness, and plain aesthetic appeal have, during the 100-plus years since its invention, proven steel as the essential structural part of practically every substantial commercial structure around the world. From highrises to bridges, automobiles to ships, pipelines to rocket gantries, the sturdiness and flexibility of steel makes the fixtures of modern civilization possible. Structural steel is the most preferred framework material for non-residential buildings on the globe. Steel members, known as beams and columns, constitute the bone structure of the building supporting all of the other parts of the building. I-beam (I-shaped cross-section – in the uk these include Universal Beams (UB) and Universal Columns (UC); in Europe it includes the IPE, HE, HL, HD and other sections; in the US it includes Wide Flange (WF) and H sections) also known as H-beam, W-beam (for “wide flange”) Universal Beam (UB) Rolled Steel Joist (RSJ), or double-T (especially inPolish Bulgarian Spanish Italian and German), is a beam with an I- or H-shaped cross-section. The horizontal elements of the “I” are known as flanges, while the vertical element is termed the “web”. I-beams are usually made of structural steel and are used in construction and civil engineering. HSS members can be circular, square, or rectangular sections, although other shapes are available, such as elliptical. HSS is simply made up of structural steel per code. HSS is usually incorrectly introduced as hollow structural steel. 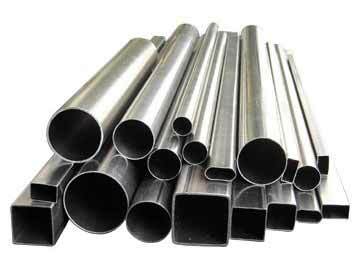 Rectangular and square HSS are also frequently called tube steel or structural tubing. Circular HSS are occasionally wrongly labeled steel pipe while correct steel pipe is actually dimensioned and classed differently from HSS. (HSS measurements are according to exterior size of the profile, while pipes are basically dimensioned based on interior diameters. The corners of HSS are heavily rounded, which has a radius which is approximately twice the wall thickness. The wall thickness is uniform around the section. An Angle Iron is a flat metal rod that has been folded to a 90-degree angle along its length, resulting in an L-shaped piece. For Equal Angles the two sides of the angle are of equal length, with unequal length of the 2 sides are Unequal Angle. Heavier Angle Iron is often used as a structural element in buildings and bridges, while lighter Angle Iron is used for a variety of supports such as an adjustable bed frame. 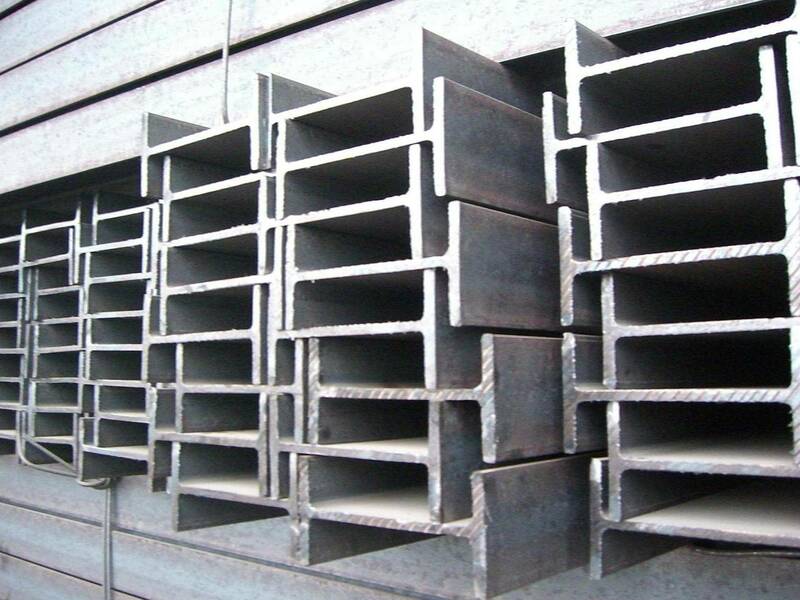 Structural channel, U channel, Tee (T-shaped cross-section), Steel Bar are also widly used Structural steel in the manufacture and fabrication of a broad range of engineered products, furniture making, machinery manufacturing, shipbuilding, railway spare parts, iron towers, and boilers, etc. Most construction projects need hundreds of different materials. Many commercial and industrial structures are mainly built using either structural steel or reinforced concrete. When building a structure, you must decide which, if not both, material is most suitable for the design. There are numerous points considered when choosing a construction material. Cost is commonly the controlling element; however, other considerations such as weight, strength, constructability, availability, sustainability, and fire resistance will be taken into account before a final decision is made. If you are looking for Structural steel, please feel free to contact us, as a steel supplier since 2002, you will get professional supports from our sales engineer, and one stop services. This entry was posted in Galvanized Angle Iron, H Beam on September 3, 2014 by Richard. Want to know more about Galvanized Angle Iron? Galvanized angle iron supplier is not necessarily the common angle iron manufacturer. Because galvanized angle iron is by the angle iron then making galvanized, sometimes, the angle iron factory can?? ?t make galvanized process, so we need to find the professional galvanized mill to galvanize for our angle iron after which we can get the galvanized angle iron. So the galvanized angle steel price is always higher than the angle iron price about 800-1200 rmb / ton more or less. Galvanized Angle Iron is the angle after derusting into around 500 ??? melting liquid zinc through which the zinc layer is adhered on the surface of the angle steel, thereby reach the purpose of anticorrosive, it?? ?s suitable for all kinds of acid, alkali fog corrosive environments. No. 1 Low processing cost: the cost of the hot dip galvanized anti-rust cost is lower than other paint coating. No. 2 Durable: hot dip galvanized Angle steel has surface luster, uniform zinc layer, no plating leakage, no DiLiu, strong adhesion, corrosion resistance strong features. In the suburbs environment, standard hot-dip galvanized anti-rust thickness can be 50 years without repair, and in urban areas or coastal area, the standard of hot-dip galvanized anti-rust layer can keep 20 years without repair. No. 3 Good reliability: between the galvanized layer and steel there is the metallurgical combination. It?? ?s a part of the steel surface which can make the durability of coating more reliable. No. 4 Coating of high tenacity: galvanized layer to form a kind of special metallurgical structure, this structure can bear the mechanical damage during transport and use. No. 5 Comprehensive protection: each section of the plated parts can zinc plating, even in the cavity, sharp corners and hiding places can be fully protected. No. 6 Save time and effort: galvanized process faster than other coating construction method, and can avoid the time needed for brushwork at site after installation. Galvanized angle iron has very widely use with tower, communication tower, railway and highway protection, lamp posts, Marine structures, construction steel structure component, ancillary facilities of substation, light industry, etc. If you are looking for information on the better anti-rust, high tenacity coating, durable and good reliability angle iron, please visit our product page. This entry was posted in Galvanized Angle Iron and tagged Galvanized Angle Iron, Galvanized angle iron supplier, galvanized angle steel price on April 18, 2014 by Richard. 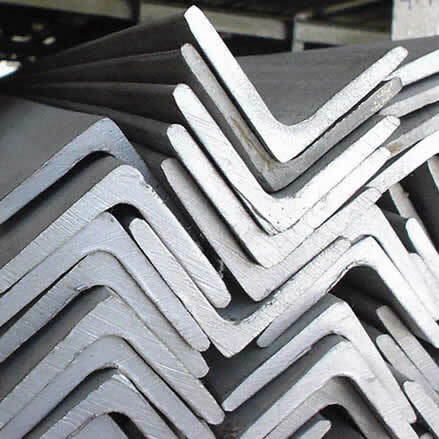 Angle iron is widely used in building structure and engineering structure, such as house beam, bridge, power transmission tower, hoisting and conveying machinery, ships, industrial furnace, reaction tower, container frame, cable duct support, power piping, bus bracket installation, as well as the warehouse shelves and so on. Angle iron is mainly divided into two categories, equal angle iron and unequal angle iron, and the unequal angle iron can be divided into equal thickness and unequal thickness. Photos can be seen in the website Steelfromchina.com. 6. Time-saving and labor-saving: the galvanizing process is faster than other coating construction method, and this can save the time for painting after installation on site. This entry was posted in Galvanized Angle Iron and tagged angle iron, Galvanized Angle Iron, steel from China on March 11, 2014 by Richard. In March 2012 one of our Australian customers visited to? ?confirm proceedings for putting in an order of Australian standard galvanized angle iron amongst other things. In total they needed 300 tons of angle iron, 100 tons of flat bar and 200 tons of H beam. During their visit we took them to check out the galvanizing plant we cooperate with in Beijing. This is because they wanted a good portion of their angles to be galvanized here in China with a zinc coating of?????605g/sqm. Their other key priority was that the galvanized angle iron was straight and flat. Our cooperating? ?plant is just a 30 minute drive from our office in Beijing and is run by a wonderful lady called Mrs Wang. Her plant is world class and she in fact galvanized various pieces for the Beijing Olympic Bird’s Nest Stadium. Unlike the other galvanizing plants you will find further north in China, such as Tangshan in Hebei Province, the Beijing galvanizing plant can ensure the zinc coating meets AS/NZS 4680:2006 standards. Yes there are many galvanizing plants in Hebei, but even if they say they can achieve a high coating? ?most of these can only manage a zinc coating of 250 to 300 microns (max). This of course is unacceptable for Australian standards or meeting deep sea specifications. Armed with a coat thickness testing device we went around some of Mrs Wang’s freshly galvanized angle iron to take readings of the zinc coating. These galvanized equal angles were 75 x 75 x 8mm. We tested one of the bundles at six different points along the length and got the??following? ?readings: 76.4? ?m; 80.2? ?m; 105? ?m; 115? ?m; 129? ?m; 130??m. This averaged out at 105.9? ?m – so the average zinc coating mass of this bundle was: 756g/m?? (comfortably meeting the requirements for AS/NZS 4680:2006). Our customers were satisfied with the plant and a few months later they put in an order for both 6m and 9m length angles to be galvanized in Mrs Wang’s plant. Our customers have also made repeat orders of Australian standard galvanized angle iron since being happy with the first batch. The photos below are of our Australian customers’ nine meter unequal angles going through the galvanising process in Mrs Wang’s plant. The photos are accompanied by a small explanation of each stage. The plant has two production lines with one nine and one twelve meter zinc bath. Upon arriving at Mrs Wang’s galvanizing plant, the prime black angle iron is rinsed and pickled in 10% hydrochloric acid to remove scale, rust and other surface oxides. Then it is rinsed in a hot zinc ammonium chloride pre-flux solution to condition the steel surface to facilitate the reaction between the steel and molten zinc. After the pre-flux has dried on the steel?? ?s surface the conditioned black angle iron is plunged into the molten zinc bath and remains immersed for over three and a half minutes (Temperature 455? ?C) to meet the crucial requirements of AS/NZS 4680:2006. Workers make their way down the length of the bath scooping the dregs off the surface of the molten zinc. The angles are removed from the bath and swiftly moved over to the cooling bath. The galvanized angles are plunged very briefly into a bath of water to cool down post??galvanization. A few seconds later, the angles are quenched in a weak sodium dichromate solution that continues the cooling process and applies a low level of chromate passivation to the galvanized coating?? ?s surface. Here?? ?s a reading we took off the surface immediately after quenching. If you are interested in Australian standard? ?galvanized angle iron visit us in Beijing and we?? ?ll give you a tour of Mrs Wang’s galvanizing plant. This entry was posted in Chinese Steel Mills, Galvanized Angle Iron and tagged australian standard galvanized angle iron, galvanized angle iron made in china on March 26, 2013 by Richard.